For your next vacation, book a trip on the impressive Wind Star, a four-masted sailing yacht that’s part of the six-boat fleet of Windstar Cruises. Overall, 148 guests can fit on this four-decked beauty of a ship that feels more like a private yacht. Each deck features teak flooring and is completely open, offering great views and plenty of space to mingle. With 101 international staff members, the Wind Star boasts plenty of opportunities meet people of different cultures. On this boat, you’ll be able to explore exciting locales such as Costa Rica, the Panama Canal, the Caribbean, southern Spain, Morocco, Greece, and the various Mediterranean seaports. You’ll stop in cities like Colón, Puerto Caldera, Bridgetown, Lisbon, Barcelona, Rome, Athens, Oranjestad, and more. So what are you waiting for? Use Dunhill Travel Deals to find the best price on the web for Wind Star cruises. With 73 deluxe ocean view staterooms and one ocean view owner’s suite, the Wind Star is sure to meet your accommodation needs. Staterooms are 188 square feet in size and include two small portholes for you to gaze upon the ocean waters. You’ll be able to relax on the queen size bed or split it into two twin-size beds for convenience. Catch a movie on the flat-screen television, snack on the complimentary fresh fruit, or indulge in the luxe bathroom. The Owner’s Suite is a one-of-a-kind, 220-square foot bit of paradise. With all of the amenities of the stateroom, this room offers you complete comfort. It also comes with a separate sitting area for catching up on your book, as well as a in-room dining space so you can feast without leaving your room. You’ll never be bored while vacationing on the Wind Star. From the very moment you check in and receive your complimentary welcome cocktail, you’ll have access to numerous onboard entertainment options. 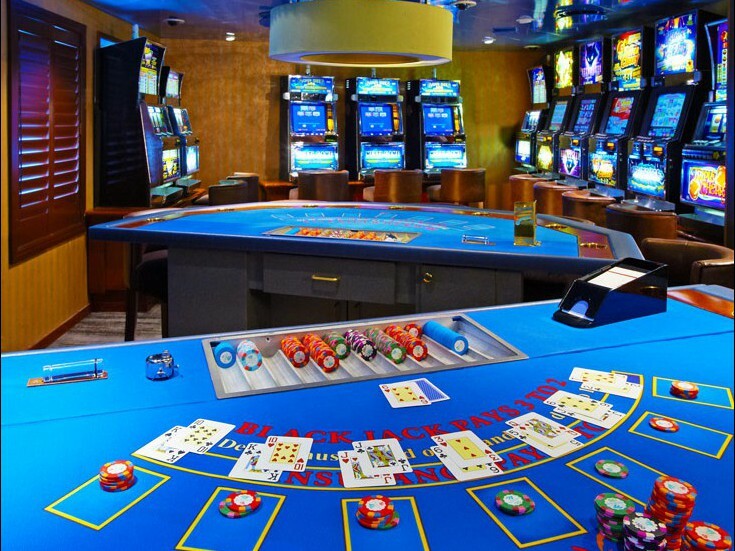 Stop by the casino to see if your luck is with you, or relax by the pool or whirlpool. Naturally, there’s a pool bar so you can get all the drinks you need without drying off. One of the best activities on the Wind Star is enjoying all of the water sports equipment for free. This includes water skiing, sail-boarding, kayaking, and more. Don’t feel like spending time in the sun? Hit up the library for a great selection of reading materials, or take a relaxing massage session at the WindSpa. At night, enjoy listening in on the informative port talks to learn more about your destinations. 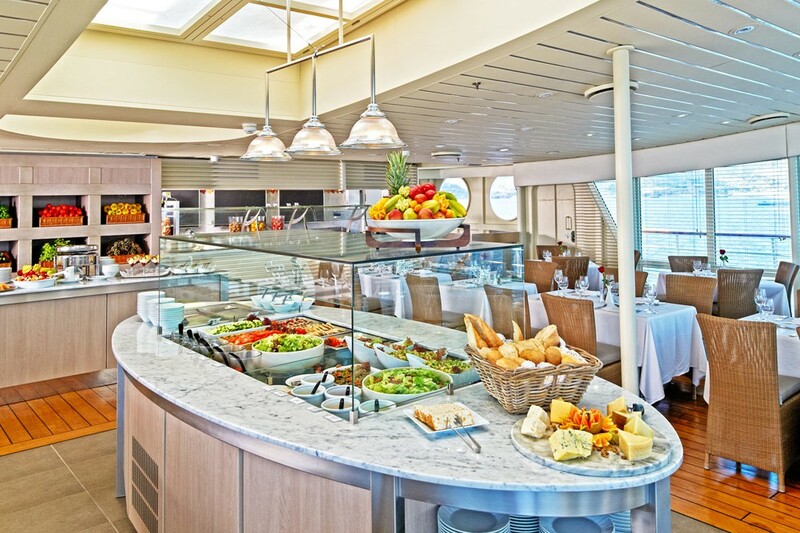 Wind Star proudly offers a world-class dining experience. Best of all, all meals are included in the cost of your ticket. Satiate your hunger at four main dining options.